Well, that didn't take long. Just yesterday I posted a breakdown of the movies expected to arrive at San Diego Comic-Con and play in the prestigious Hall H. Not all of them were confirmed, but we have a handful that are now guaranteed to appear, including one everybody has been waiting to see, Wonder Woman 1984. 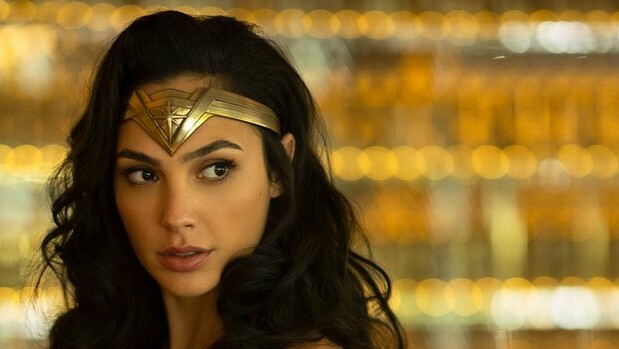 Deadline confirms Wonder Woman 1984 will be at Comic-Con, spoiling what was supposed to be a surprise unveiling. Oops. Exactly what that means is still unclear as plans have yet to be finalized, but if past is any indication Warner Bros. will rock the Hall H crowd with a massive panoramic sizzle reel. Patty Jenkins has only been shooting for a few weeks but we've seen that it doesn't take long to cook something up for the fans. I'm stoked for this next one. Universal will be bringing Glass, M. Night Shyamalan's followup to Split and shocking sequel to Unbreakable. While not a Marvel or DC property, Shyamalan has built one of the most popular original superhero stories on the big screen, and I expect the audience will be rabid for this one, especially if stars James McAvoy, Samuel L. Jackson, and Bruce Willis show up. We should see either the first official trailer or the sizzle reel of footage shown recently at CinemaCon. I'll take either, please. Horror movies don't always make much of a splash in Hall H (sometimes the place empties out or goes dead silent for non-superhero stuff), but Universal's Halloween sequel/reboot could change that. This was largely expected to arrive and has now been confirmed, but with the trailer still pretty fresh I'm hoping they have something new to offer. Maybe a clip or two? Am I crazy for thinking Universal may want to try and use this as a launching pad for a new cinematic universe, perhaps to take the place of the failed Dark Universe franchise? San Diego Comic-Con takes place July 19th-22nd.